Did you know that about 45% of all people over 30 years of age suffer from dandruff? This is a very common scalp problem and it can start anywhere from the age of 10. Babies can also suffer from this condition that is commonly referred to as cradle cap. To fully defeat dandruff, you must understand what it is and how it forms. This article provides you with insights that will guide you accordingly. You do not have to suffer because there are many dandruff solutions to explore. Many definitions from medical professionals have stated that dandruff is characterized by flaking of the scalp. Dead skin on the scalp sheds as white and grey flakes. This condition is many times itchy and the scalp may feel dry or greasy. The white flakes will start to fall off and they can be visible on your shoulders. Scratching a dandruff-infested scalp often makes things worse; and the white and grey flakes will disperse in the entire hair. Health experts have stated that dandruff is generally a harmless condition. However, it can become chronic and highly uncomfortable. Needless to say that walking around with white flakes on your hair can be embarrassing. What are the top causes of dandruff? Your scalp is part of your skin and to this end, dead skin cells are shed while new ones form. This cycle can malfunction where the shedding accelerates than normal. This will cause clogging of dead cells and dandruff forms. In general, there are several factors that may lead to the malfunction of the skin cell shedding process on your scalp. - The first thing is dry skin. Some people are prone to a dry scalp naturally, while others will become dry due to lack of a proper moisturizing regiment. Also, some hair and scalp care products may cause drying leading to dandruff. Too much product use will also have the same result. - Eczema is a condition of the skin that can contribute to dandruff. This condition is known to cause itchiness and flakiness. The scalp becomes very dry and red and one must look for the right remedies to relieve this issue to tackle the dandruff problem. 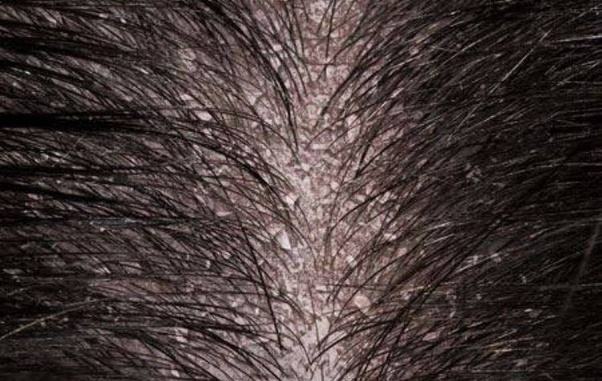 - Another common skin condition that can cause dandruff is seborrhoeic dermatitis. This is known as cradle cap in babies. Owing to a yeast overgrowth, the skin or scalp becomes itchy, scaly and flaky. Again, treating this condition will most likely tackle the dandruff issue. - Scalp ringworm is another fungal condition that can cause dandruff. In scientific terms, this condition is referred to as tinea capitis. The fungal infection must be treated for you to find the right relief. - Psoriasis also features in the list of dandruff causes. People who suffer from this skin condition will have red patches that are often scaly and flaky. - Some hairstyles can also cause dandruff to form. If there is a lot of pulling of hair follicles, dry patches will form owing to the level of inflammation or strain registered on the scalp. - Other causes of dandruff include hormonal imbalance, immune system issues and even excessive use of oil on the scalp. Some people will develop the condition when they are under a lot of stress. One sure thing is that different people will have different causes. How can you verify that you have dandruff? Most people will identify this problem when they have an itchy scalp that is shedding white flakes. You do not really need a specialist to diagnose dandruff. However, you need an expert opinion regarding the treatment of dandruff. Once you notice the white or grey scales and flakes on your scalp, visit a health expert. This will help determine the root cause. If there is a fungal issue, the right treatment will be administered. Tackling underlying causes is critical to getting the best dandruff relief. You are most likely to find a treatment for dandruff rather than a cure. Dandruff tends to be recurrent and in some people, this is a chronic problem that they have to manage. Controlling dandruff is easy with the right treatment. If you have a mild case of dandruff, using a shampoo that is not medicated regularly can work well. After you clean your hair and scalp, massage with a good conditioner and moisturizer. When you frequently clean your scalp this way, you will reduce the formation of dandruff. Also, avoid using too much oil on your scalp and hair. This oil buildup is counterproductive. If a non-medicated shampoo fails to do the job, consider an anti-dandruff shampoo. These special shampoos must be used as prescribed and most will tackle the problem effectively. Different shampoo brands will work differently on people. However, when looking for an anti-dandruff shampoo, there are key ingredients that you should look out for. These are known to have a good anti-dandruff effect. They include sulfur, coal tar, salicylic acid, selenium sulfide, zinc pyrithione, ketoconazole and more. Seek medical help if all the above dandruff treatments fail. A doctor can prescribe something stronger like corticosteroid. However, the use of such medication should be limited due to the harmful side effects that can occur. For cradle cap, mineral oil is recommended with a gentle brush and mild shampoo. Are there natural remedies to get rid of dandruff? Natural dandruff remedies can give you great results minus the harsh side effects. However, you must understand how they work first. The good news is that there are excellent natural remedies that make a difference in defeating dandruff as highlighted below. This oil has been used for centuries by different communities of the world for different purposes. In addition to being nutritional, coconut oil is excellent for skin and scalp. It works by promoting hydration and mitigating skin dryness. With adequate skin hydration, dandruff is reduced. Some studies have shown that coconut oil can treat conditions that cause dandruff like eczema and atopic dermatitis. In one study, the use of this oil for two months reduced dandruff by 68%. This oil is also said to have antimicrobial properties which can discourage the growth of fungus. Because of its anti-fungal and antibacterial properties, aloe vera is always a common ingredient in skin care products. It can also assist in the control of dandruff. It promotes hydration while preventing microbial attacks to the scalp. It is also a skin soothing agent because it tackles inflammation. We all know the many health merits of ACV. For dandruff, this remedy is very promising. From balancing the pH of the skin to discouraging the formation of fungus on the scalp, ACV can help you. However, the type of apple cider vinegar you use and how you use it matters a lot. Use an organic whole version and add a few tablespoons to your shampoo. It can also be used with an essential oil as a hair spray. Studies have shown that ACV will prevent the growth of certain fungus strains. As alluded to above, a weak immune system can create the right environment for dandruff formation. Therefore, you must fight the problem from within. Strengthening your immune system will not just improve your wellness in general but it can reduce dryness and prevent dandruff. Omega-3 fatty acids are very important when it comes to building your immunity. Many people who have a dry scalp will have a deficiency of the same. Therefore, start supplementing or eating fatty fish like salmon, mackerel and trout. Other great omega-3 sources are walnuts, chia seeds and flaxseed. This is an essential oil that has been used to treat skin conditions that cause dandruff. It is an antimicrobial and anti-inflammatory agent. To this end, it will discourage the growth of certain fungus strains while reducing inflammation. Use this oil with a carrier oil because it can cause irritation to sensitive skin. We live in a very busy and stressful world. This stress burden can weaken your immune system which can have a ripple effect on your health. Dandruff as stated above can be caused by stress overload. Therefore, looking for ways to de-stress will help in the long run. Stress can be effectively reduced by being physically active, getting some aromatherapy, meditating, taking a yoga class and much more. An itchy, scaly and flaky scalp is not the best ground to grow healthy hair. In fact, studies have found that people are more likely to have damaged hair this way. split ends and breakage are more common in a dandruff-ridden scalp. Many people cannot resist the itch caused by dandruff and this further affects hair development. This goes to show that ignoring dandruff is detrimental to say the least. Prevention is always better and in this case, there are certain things you can do to prevent dandruff. Even if you will not prevent it completely, being proactive goes a long way. Feel free to share your dandruff experiences, did you find a remedy that works?